The 2014 Worker Coop Academy helped two existing worker cooperatives to improve their business practices. Mandela Foods Co-op streamlined produce ordering and display, while DIG co-op developed a business plan and mapped out improvements to their by-laws. New Economy, Solidarity Economy, economic development, business education. A documentary film by Dario Azzellini and Oliver Ressler about the factory RiMaflow in Milan, Italy, which has been recovered by the workers after the former owners engaged in a fraudulent bankruptcy. The facility used to make auto parts but is now run as an open factory and is owned and controlled by its workers as a worker cooperative. The workers-owners at New Era Windows Cooperative have overcome many hurdles to create a sustainable, democratic business, after having twice occupied their previous place of employment, Republic Windows, in response to abuses by the owners. Worker Co-ops. 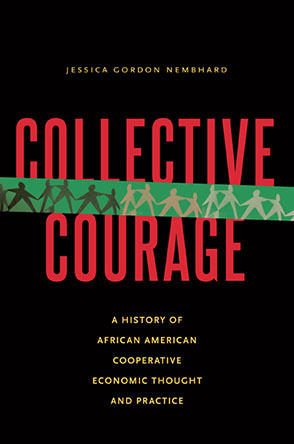 Co-author of Building Co-operative Power and GEO Collective member Michael Johnson discusses the Valley Alliance of Worker Cooperatives and some of the many worker co-ops of the Connecticut River Valley. He also provides an overview of the contents of the book and a history of how it came to be written. On some occasions, rare though they are, the slogan “Another world is possible,” becomes reality. GEO is pleased to announce that we're working with the Level Translation (a project of the Intepreters' Cooperative of Madison) to release a new series of ebooks. This webinar was presented by Project Equity, the Sustainable Economies Law Center (SELC), and the Green Collar Communities Clinic (GC3) of the East Bay Community Law Center (EBCLC) on March 31st, 2015.